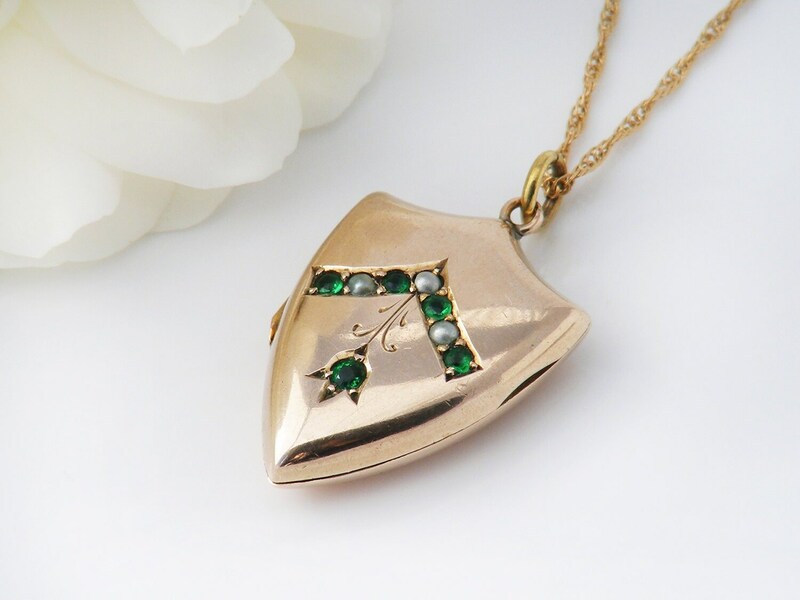 An exquisite Victorian shield locket inset with a chevron of emerald green gemstones and seed pearls and hand-chased flower. 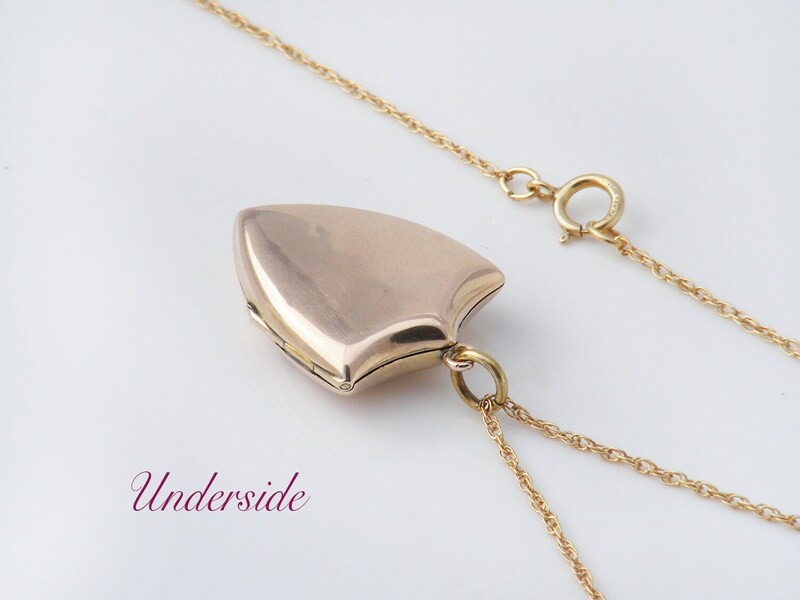 The highly polished gold and bright stones complement each other beautifully. This is a gold 'Back & Front' locket, typical of the Victorian era - a 9ct Gold shell with a stronger internal frame, usually brightly gilded brass. The gold color has the wonderful rosy warmth of old gold. 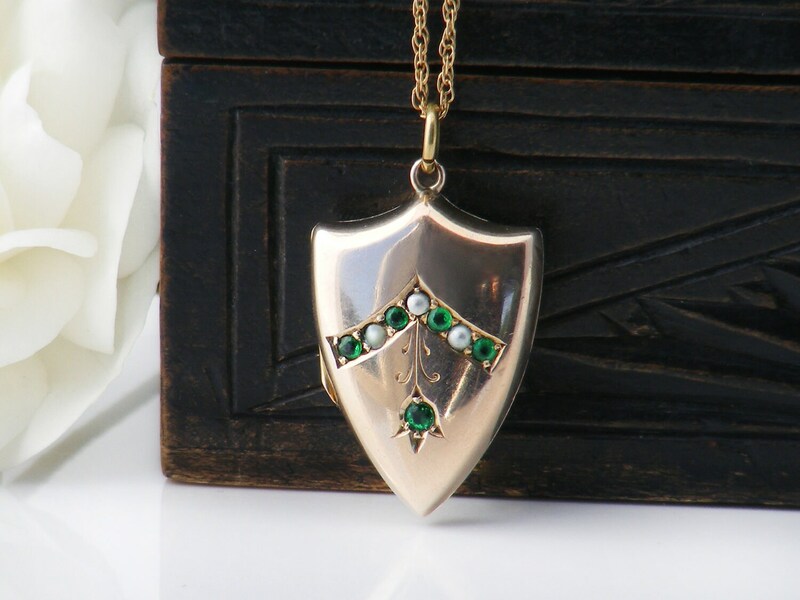 The Stones: rose cut, the tiny green stones appear to be emeralds rather than rhinestones - they are set with open backs and all are slightly different in clarity. The seed pearls have the lovely changing blue-grey tones of natural pearls. There is a single photo rim on the inside with new black card liners. 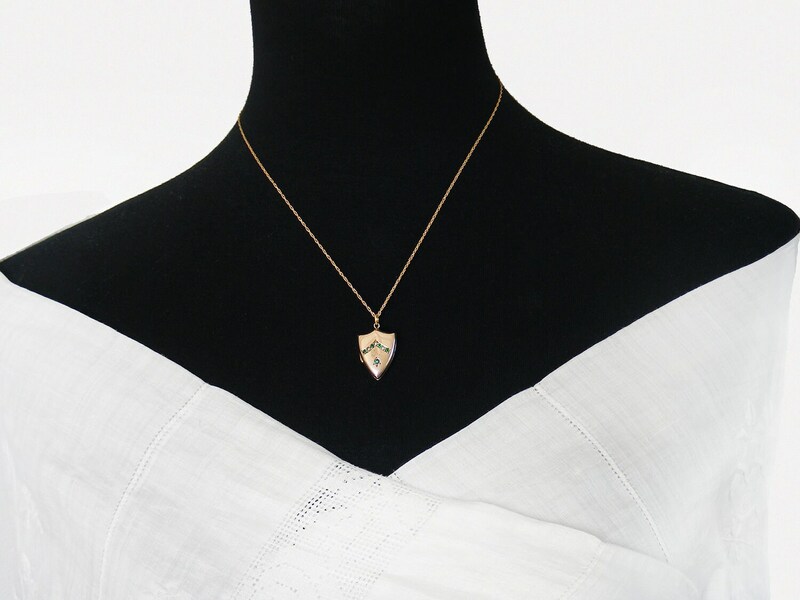 The locket is on an 18 inch or 46cm 'Prince of Wales' link chain, 14ct gold filled and stamped as such to the clasp. 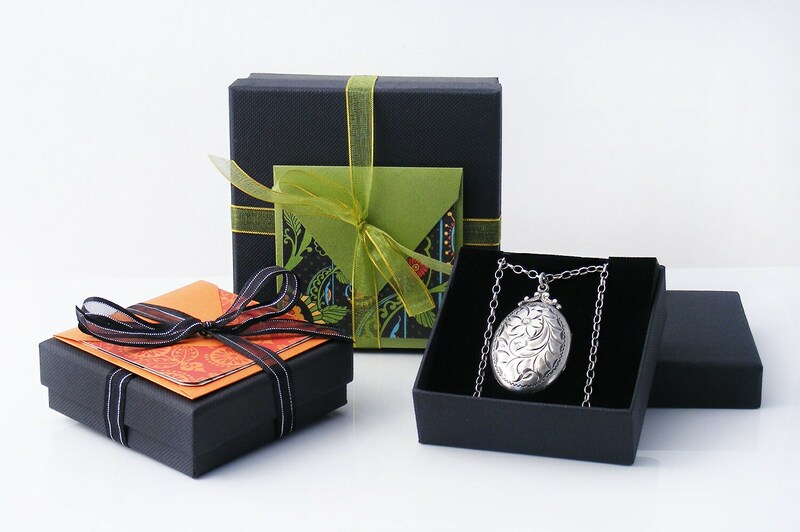 Photograph 3 shows the locket on a life size torso. Very, very good. Some natural patina to the inner rims, but no issues to report. Stones have lovely sparkle. 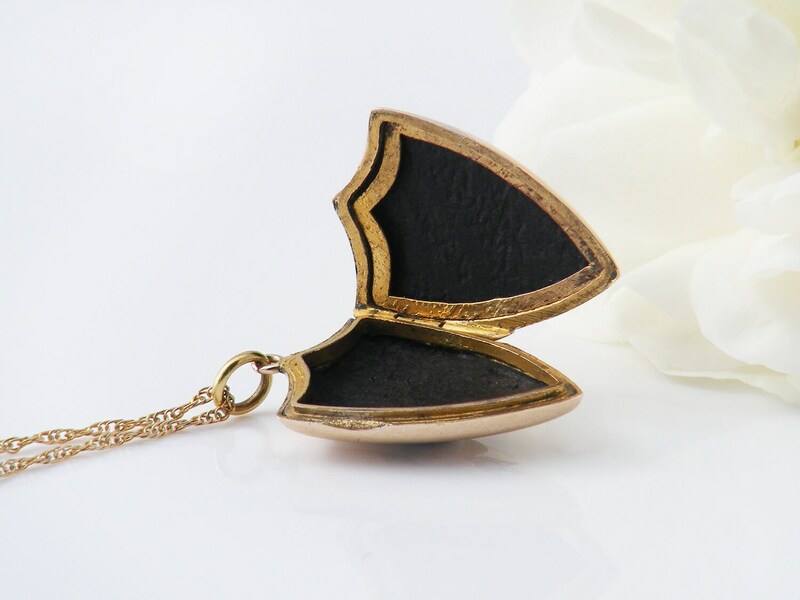 The locket closes well with no gaps and the hinge is strong. 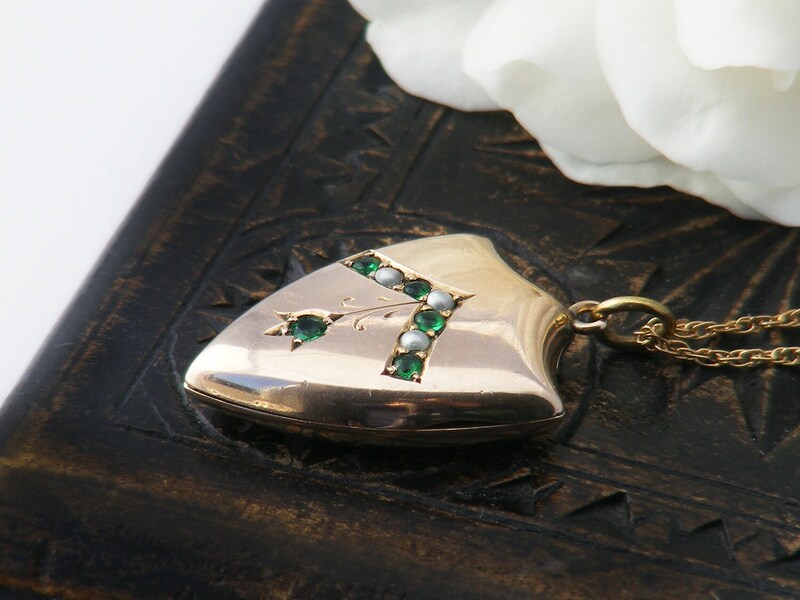 A darling of a Victorian locket, such a pretty piece I could wax on for an age! The elongated shield shape is so very elegant.